Societal change takes time and effort. We sometimes forget that the NAACP, one of the early movements to improve the lot of African Americans, has been going for more than 100 years. 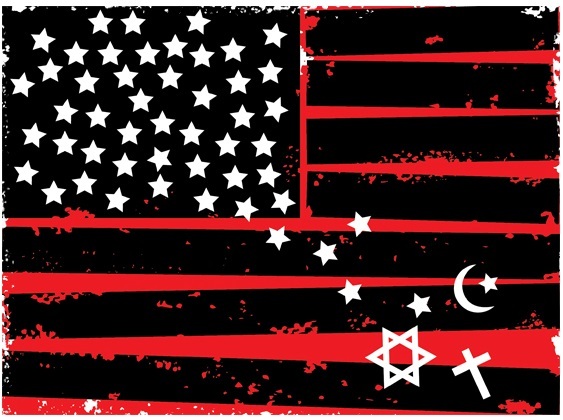 For Atheists, separation of church and state has become the important cause to defend as our nation has moved relentlessly to the religious right in the past quarter century. The Atheism movement has made huge strides in the past decade, but our job is not done. We must be vigilant to keep religion from constant encroachment into our schools, military, local government and public places. NYC Atheists, the most active Atheist-rights organization in New York, works on many fronts – educational, legal and community engagement. We need your support and participation to continue our work. Every person counts, every dollar helps. We have become known citywide for presenting two lectures a month by illustrious speakers on cutting edge topics in science, politics and philosophy. No other freethinkers’ group in the nation provides as many top speakers we do. We’ve had professors from Harvard, Princeton, Yale and NYU speak to us on everything from archeology to Vatican politics. When Richard Dawkins visited our group, we held two sessions in one evening to accommodate the huge turnout. Our Book and Film Club, led by CUNY professor Dr. David Orenstein meets once a month. Dr. Orenstein presents a vivid dissection of current literature and cinema from an Atheist point of view. A monthly Discussion Group, led by Lee Moore, presents a forum for young people and new members to thrash out controversial topics in a friendly, open-minded, give-and-take environment. We present three Cable TV shows a week on Channels 57 and 67. Our newest, “My Road To Atheism” features more than 50 NYCA members telling the story of why they became an Atheist. Our Advanced Writers Group supports and encourages Atheist authors of both fiction and non-fiction in their efforts to get published by mainstream publishing houses. The group was formed three years ago in an effort to combat the huge amount of books currently being published by religious publishing houses. We sued the Brooklyn Catholic Diocese for making Robocalls to support a questionable state candidate helping the church try to evade lawsuits by victims of clergy abuse. We sued the states of New Jersey and New York for allowing a 20-foot “Miracle Cross” placed on government property in a museum supported and maintained by tax funds. We were plaintiffs in Michael Newdow lawsuit to take “In God We Trust” off our money and to take the words “Under God” out of the pledge of allegiance. We conducted demonstrations for separation of church and state at various events including one Republican convention. We were a huge working presence, the largest delegation from any city in the U.S., at the Reason Rally in Washington D.C. in 2012. We picketed Pope John Paul II when he came to NYC, carrying banners protesting his donothing attitude on priest pedophiles. We demonstrated at Foley Square before and after the Miracle Cross suit in Appeals Court. Our demonstration made every TV channel in New York and many nationwide. We lobbied in Albany and Washington for various Atheist issues. We succeeded in having religious holiday displays removed from a Manhattan park and a prayer booth removed by issuing formal complaints to the City. We advocate for Atheists in workplace complaints when they wish to remain anonymous. We have resolved six workplace complaints from members who said they were being coerced to engage in prayer meetings on the job. Our peaceful method of resolving these involved calling the Human Resources department, and without disclosing the employee’s name, reminding them that coercion to prayer on the job violates the U.S. constitution. This has been successful in all the cases. We do street tabling at Columbus Circle every Saturday during the warm weather seasons. We maintain a Web Site that gives you up-to-date information about NYCA. We provide Meet-up sites for every event we hold. We maintain and keep three Facebook pages current to keep people informed up to the minute. We conducted a month-long bus poster publicity campaign that got nationwide publicity. We march in the Greenwich Village Halloween parade under the NYCA banner. We conduct a Blood Donor program once a year on the so-called “National Day of Prayer” in May to point up the fact that praying doesn’t help–but medicine does. To build community within the Atheist movement, we celebrate the Winter Solstice with a party for our members and friends. We feature a Halloween party and a New Year’s Eve party to add Atheist festivity to non-religious holidays. We celebrate the Fourth of July with a picnic honoring patriotic Atheists who have died for our country. We visit sick members in the hospital and provide support to members when there is a death. We could not do all this without your participation and support. Please sign in once more as a member of the NYC Atheists family and join our ongoing campaign for a better, more sciencebased society. You can also donate more than the very minimal annual dues we ask for, which we keep low in order to be inclusive. You can upgrade your membership by donating a tax deductible $100, $500 or $1,000. NYC Atheists Inc. can keep on giving lectures and events for you only if you keep on giving. We can pursue equality and justice for Atheists via our U.S. court system only if you help with the legal fees.